Affordable pads with added strength and versatility for any job. 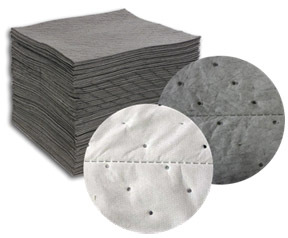 Bonded pads are both strong and absorbent. Bonded with dimples for added strength and decreased linting. For general maintenance and wiping applications. Pads holds up even when saturated. Perforated for ease of use, versatility and cost savings. Dimensions 15"x18" 15"x18" 15"x18" 15"x18" 15"x18"